Umpiring is a fantastic way to get involved with AFL, whilst keeping fit and earning money. With Australian Football in the region growing at a rapid rate, there are plenty of opportunities for people to get involved with sport and earn money at the same time. You will be appointed to matches within your local competition. Junior matches are held on Friday Nights and Sundays, so there are plenty of opportunities to umpire. You will be provided with training and one on one coaching – so you won’t be dropped into the deep end. Umpires are responsible for managing an AFL match both on and off the ground. To the players, coaches, officials and spectators the match in which they are participating is the most important match played that day. Umpiring has three disciplines – Field, Boundary and Goal. Although separate in skills and abilities, these three groups of umpires work together to ensure the match is played safely and fairly. FIELD – Field Umpires officiate and have full control of a match. These umpires continually move across a football field with the play and position themselves at all times so that they can clearly observe play. Field Umpires officate the play in line with the laws of the game and apply them within the spirit of the laws. BOUNDARY – Boundary Umpires move along the boundary of the football field, judge whether the ball is out of bounds (or out of bounds on the full) and return the ball to play via a boundary throw in. Boundary umpires also assist the goal umpires in determining scoring shots. GOAL – Goal Umpires are positioned between the goal posts at each end of the field. They are responsible for judging whether a goal or behind has been scored, signalling that a score has been made and recording the score. The laws of AFL explain how a match of Australian Football is played so that it is played fairly and safely. All Umpires must clearly know and recall the laws of the game in order to perform their role as umpires. For a pdf copy of the Laws of Australian Football click here. Umpiring is a fun and challenging part of AFL. There are many ways to get involved in umpiring from Field, Boundary and Goal umpiring. Be appointed to AFL matches. 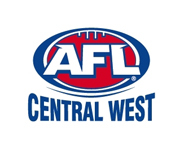 Follow AFL New South Wales & ACT Umpires on Facebook here, and on Twitter here.